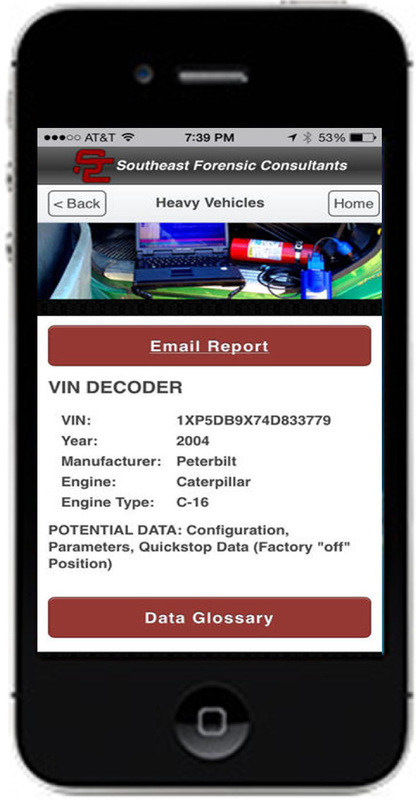 BlackboxEDR is a free mobile app that was developed to provide information about vehicles with black box capabilities. Many vehicles on the road today have the potential to record crash related data. After a vehicle has been in an accident, this data is preserved in its black box. Most black boxes contain critical information such as vehicle speed, vehicle braking and acceleration, seat belt status, and crash severity. Downloading a vehicle's black box is a cost effective way to provide quick and accurate answers following an accident. Contact a certified download technician or the professionals at Southeast Forensic with any questions, including inquiries for retrieving black box data from accident vehicles. Please click on the iPhone or Android icons below to download. 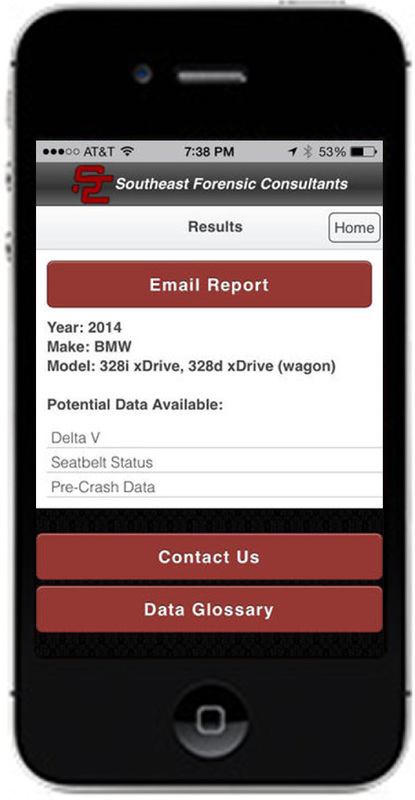 Potential data from passenger vehicles can be determined by simply selecting the vehicle manufacturer/make/year. Potential data from commercial vehicles can be determined by simply entering the vehicle identification number (VIN).